For all too many of us, the word ‘cabbage’ conjures up bad school meals and an unpleasant over-cooked smell. This is unfair on this excellent vegetable, which as well as being very good for you can also be very tasty. Read on and embrace the cabbage! Cabbage belongs to the group known as cruciferous vegetables, where the leaves grow roughly in the shape of a cross. Other vegetables in the group are brussels sprouts, turnips, watercress and horseradish. We eat the leaves unless it is horseradish, where we eat the roots. The veg aisle in the supermarket will usually carry white cabbage, savoy cabbage (crinkly green leave) and red cabbage. They are all equally nourishing so try them all. WHAT IS GOOD ABOUT CABBAGE? Cabbage is a perfect example of why you should eat your greens. It contains vitamin B, vitamin C and compounds such as antioxidants and flavonoids. The vitamins are essential for health, and the compounds are believed to lower our risk of cancer. Cabbage is also full of dietary fibre, which both staves off hunger and helps digestion. There’s no need to boil it to destruction! Stir-frying it in a little oil is the simplest way. Shredded or chopped cabbage doesn’t need to be cooked for long. If you have a steamer, this is even better as it ensures that you retain maximum vitamins. More adventurous recipes include stuffed and baked cabbage leaves, and even raw cabbage leaf wraps. Pickled cabbage might sound a bit 1950s, but this age-old method of preserving vegetables is undergoing a renaissance. This is because the friendly bacteria in pickled cabbage can be very helpful for those with digestive issues. The sauerkraut must be unpasteurised, which generally means making your own. The ingredients are simply white cabbage, salt and water. The process of making sauerkraut isn’t difficult but does need a little care. 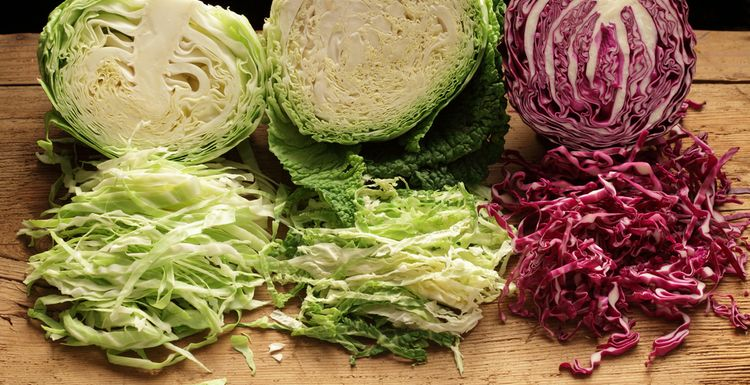 Give cabbage another chance, you’ll be glad you did. Has anyone tried making Kimchi? I would appreciate a tried and tested method. Love red cabbage the way they do it in kebabs, To make at home and do a healthy kebab version I think its mainly a bit of oil, salt and lemon. Recently discovered that cabbage is actually nicer than you think, esp red cabbage. Good in salads or pickled. Recent convert here! my grandmother used to make sauerkraut - I didn't realise that it was that easy! Now I know what those mystery jars are for, I will give it a try. Cabbage is cheap enough so I'm not scared of wasting expensive ingredients.